Our design team have been instructed to prepare a planning application for the redevelopment of the Home Shed site to help meet Falmouth's shortfall of student housing. A total of 400-500 beds will be proposed using the land around Home Shed which recently went into administration. 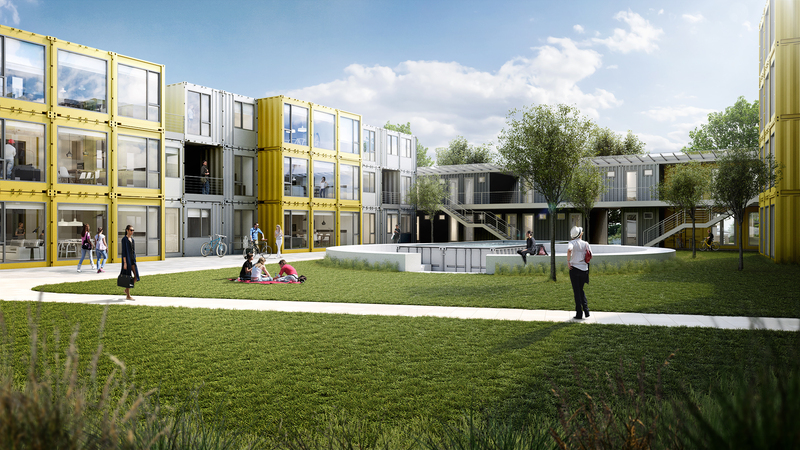 The plan is for a four-storey development using shipping container style units. Cornwall Council's planning department accept it in principle, but said it needed to have less impact on the character on the area and nearby Grade II listed Kernick House.